For some people, American crows and blue jays are considered the bullies of the avian world. 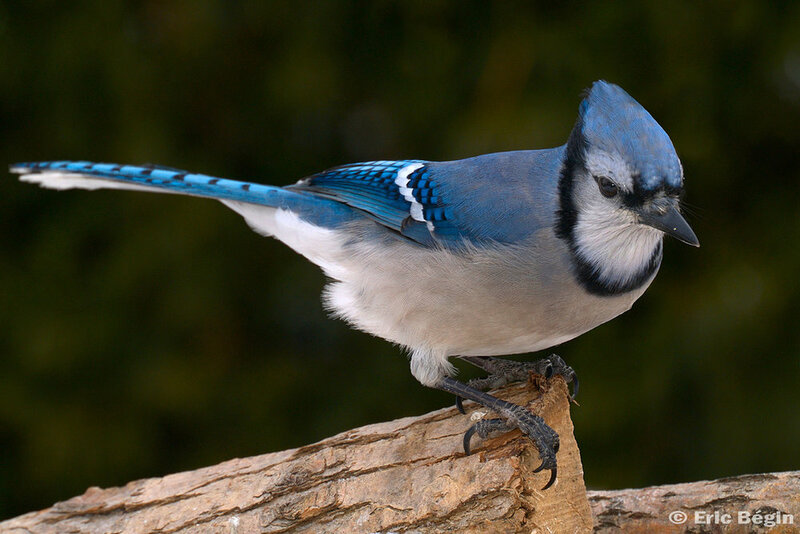 In Wisconsin, a hunting season on crows was established to deal with their overpopulation in urban areas where they and their noisy blue jay buddies cause problems. But a friend who lives in Illinois shared that he has noticed that crow population has greatly declined, and he wondered what was causing it. Could this decline in corvid numbers be caused by the West Nile virus (WNV), a disease that has been a factor in the decline of birds for some time? We looked at population trends of these two species by examining data from our citizen science project, the Poynette Christmas Bird Count, to learn a little more about WNV and the impacts on crows and blue jays in the area. We also looked at recent statistics of the Center for Disease Control (CDC), recent articles written on the subject, and the work of other agencies that are associated with WNV. The CDC states that “West Nile virus has been detected in a variety of bird species. Some infected birds, especially crows and jays, are known to get sick and die from the infection.” The DNR also follows this virus and its effect on wildlife, and the USGS Wildlife Health Center in Madison has been studying this virus for decades in an attempt to find a way counter WNV. The number of dead bird cases per year where WNV was the cause of mortality. “Now that it’s October, West Nile Virus is once again rearing its ugly head. Since the disease first appeared in America in 1999, 625 people have died from the disease. So far this year, the human death toll is 59, including 2 in Minnesota and 1 in Wisconsin. As bad as West Nile Virus is for humans, it’s even worse for birds. Most of us have probably already been exposed to the virus and developed immunity. Fewer than 5% of people who are infected with the virus get sick at all, and of them, most get only minor flu symptoms. The people most vulnerable are those with immune system deficiencies, and so it’s very important to protect ourselves and especially the very old and the very young and people who’ve been sick from mosquito bites. We can go to a store and buy repellants, and we live in houses that can be fairly effectively closed off from insects. Birds are helpless to defend themselves against biting insects, and are far more vulnerable to this disease than we are. 99 – 100% of all crows exposed to the virus not only get sick—they die. Great Horned Owls, Red-tailed Hawks, Blue Jays, and chickadees are other species that are extremely susceptible to the disease. These tables provide us with rough ideas of American crow and blue jay numbers for our area in late December for the past 39 years of the Poynette Christmas Bird Count. One can see that there is a lot of difference between highs and lows with the number of dead birds reported to the health Department and also in Poynette CBC data. Crows fluctuated between 215 to 1,293 while blue jay numbers fluctuated between 123 and 586. It is impressive in the past 39 years that our Christmas bird counters tallied 29,300 crows and 12,700 blue jays. Overall, without a lot of statistical data, it appears that our crow and blue jay populations have not been greatly impacted by WNV. A crow calling in the distance was the first bird heard this morning from the house. The first report on the breeding bird atlas this week was a crow carrying nesting materials. We are ready for spring to resume the work of the breeding bird atlas by recording species of crows and blue jays. We wonder if warming temperatures that accompany climate change affect mosquito populations and result in an increase of WNV. Thanks to Laura Erickson who spoke at the 50th anniversary celebration for Goose Pond Sanctuary for her information on crows and WNV. On the wing from Florida, sandhill cranes arrived in Wisconsin over the past few days. A mini celebration ensues upon the arrival of these cranes. I’ve received texts, calls, and read reports online. What joy these birds can bring as the snowpack stalls and becomes stale; the routine of winter becoming so entrenched that these birds flying north bring assurance that the comfortable rhythms of winter are soon to be succeeded by awakening wildlife, birds, plants, and sunlight. On Sunday I saw my first sandhill crane of the year, flying determinedly into a strong west wind gusting over 30 miles per hour. There was no pandemonium of trumpets; the bird flew silently into the wind. The determination of these early arriving cranes is admirable. Not only is the snow deep and the wetlands frozen, but this early arriving crane flew headlong into eye-stinging winds. At the time of Leopold’s writing of Sand County Almanac, there were about 30 pairs of sandhill cranes in the entire state of Wisconsin. 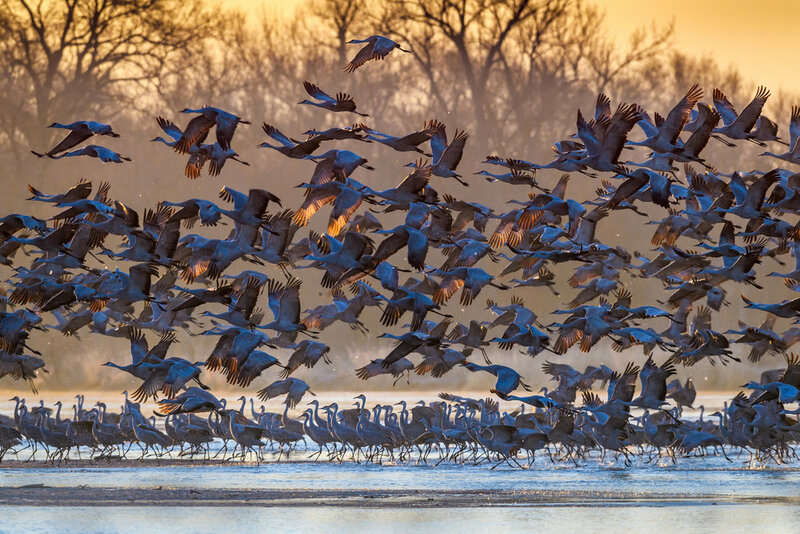 Today, multitudes of sandhill cranes migrate, sometimes in huge flocks of thousands of birds. At 20,000 birds, the population in Wisconsin is stable, and reveals an incredible success story for conservation. Genetic research has shown that while these birds have increased genetic diversity and mixing since a bottleneck in the 1930’s, there are a number of unique sub-populations of cranes. These sub-populations could provide the key genetic material for unforeseen pathogens or diseases in the future, and illustrate why protection remains important. 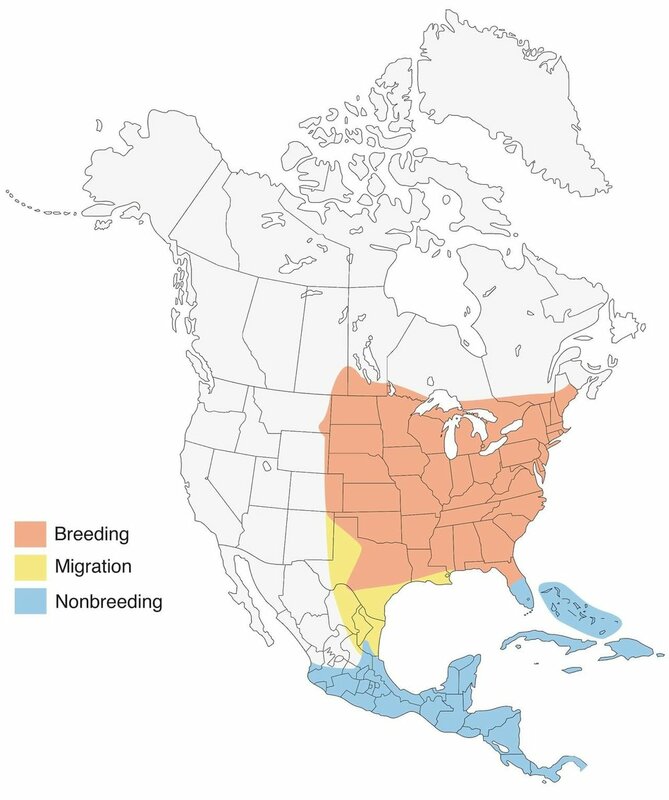 Most of our Wisconsin birds come from the southeast, mainly Florida, and they are arriving right on schedule. Last year I saw my first pair of cranes flying north over the Kettle Pond on February 20th. During migration, sandhill cranes will “stage” and group together in communal roosts in areas with good habitat and food availability. Key staging areas include the Platte River in Nebraska in spring for the western population and Crex Meadows State Wildlife Area and the Aldo Leopold Foundation on the Wisconsin River in the fall for the eastern population moving through Wisconsin. Research has shown that sandhill cranes prefer to roost on wide rivers with relatively short vegetation on the banks. Thus, rivers on an open prairie landscape like Nebraska are perfect for migrating cranes. These iconic rivers can protect the cranes from predators, as their sightlines are increased and sandbar islands provide another barrier to potential predators. Upon landing in Wisconsin, cranes will stake out a nesting site in a wetland area. A study in southeastern Wisconsin found the highest density of crane nests on floating bog mats, where water prevents encroachment from predators. Floating bog and sedge mats are excellent spots to observe (from afar) sandhill crane nests at Faville Grove Sanctuary. As winter thaws and wetlands become accessible again to cranes, we’ll start seeing greater numbers migrating through. For now, the few intrepid cranes heading north are delightful in their own right. We always look forward to participating in the Great Backyard Bird Count (GBBC). This year we kept close watch at the bird feeders at both Madison Audubon residences at Goose Pond Sanctuary on Monday, February 18, the last of the four-day time period. The Martins also counted birds at feeders at their cabin (Wildland) north of Rio in Columbia County on Sunday, February 17. The GBBC gives us a snapshot of bird usage at our feeders in late winter. Despite the name, birds can also be counted and reported from anywhere, not just backyards. Nine of the 14 species observed at three feeders were in the top 10 species recorded world-wide in 2018 (see spreadsheet below). Factors contributing to the higher species count and higher number of individuals included more diverse the habitat, the number and types of feeders, and the variety of seeds present. We find that the best seeds for us are black-oil sunflowers, medium sunflower chips, white millet, and suet. This year our sunflower chip feeders were new Wild Birds Unlimited Eco-clean feeders, which reduce disease transmission when birds congregate in high densities. On Thursday afternoon, February 21, GBBC reports were still being entered but at that time, world-wide totals included 178,200 (160,000 in 2017) checklists, 6,293 (6,031) species, and 28,700, 000 (25,300,000) birds counted as part of the event. This is an impressive number that reflects the amount of people interested in birds, and more people participated this year than last. In Wisconsin, bird watchers submitted 2,454 (2,400) checklists and reported 115 (121) species. Last year we had good numbers of common redpolls and pine siskins, which are very uncommon this year in southern Wisconsin. The eight turkeys at the Wildland cabin were feeding on sunflowers at the bird feeders and on apples in the orchard. The Goose Pond wildlife food plot of sorghum and sunflowers is helping 250 tree sparrows and 25 ring-necked pheasants make it through the winter. Shelter is another critical need for birds in the winter. The Kampen Road residence contains an “old growth” Norway spruce windbreak and mature pines, and spruces on the neighbor’s land at the Martin’s cabin provide birds with ideal winter roosting cover. Nine years ago at the Kampen Road residence we planted Norway spruce, white cedar, red osier dogwoods, apples and crab apples. These plantings offer additional cover and also serve as a windbreak. We are planning on planting more woody species this year and encourage others to provide habitat around their residences. In addition to creating cover for the birds, the trees help stop the wind and reduced energy costs. Thanks to everyone that feed birds already. If you live in suitable habitat we encourage you to start feeding them as well. A friend mentioned the importance of feeding the birds and asked us “how would you like to go to the store in winter and find the shelves empty.” The color and variety of species brighten our winter days, and make us feel good knowing that we can provide them with quality habitats and nutritious food. The winter weather has been tough on other birds as well. On Wednesday January 30, Jerry Schulz who works at the UW Arlington Research Farms was driving on Goose Pond Road when he saw an eagle in the road "jumping up and down" close to the Manthe farm. As he approached he could see an adult eagle, and it appeared the eagle had just killed a snowy owl. The adult eagle flushed carrying the owl. That day felt like the arctic with a low of - 30 degrees and a high of -12 with -50 wind chill. Snowy owls can withstand the weather, but we have no idea why the eagle was able to take the owl or why the owl was in this location. It is possible that the owl had been hit by a vehicle or had health problems. It is sad to lose one of our feathered friends, and very surprising to learn of this report. This past week I was in Hawaii, enjoying the sunshine and natural beauty that the Maui had to offer. In this post, I’d like to piggyback off of Graham’s wonderful talk about his trip to Puerto Rico and appreciating the common migratory birds of Wisconsin that have found their way to the island. Hawaii is… a bit different. While I was there, I heard it referred to many times as “the extinction capital of the world.” Of the 40 or so native honeycreeper bird species of Hawaii, over half have gone extinct. Large, flightless birds likewise saw their own extinction not long after the Polynesians arrived. Hawaii is rich with natural features and “endemic” species—species that occur nowhere else on earth. The Hawaiian archipelago occurs nearly 3,000 miles from the nearest continental landmass. Volcanic action formed the islands hundreds of millions of years ago. The isolation, location in the tropics, and steep volcanic slopes have created a hotspot for evolution. 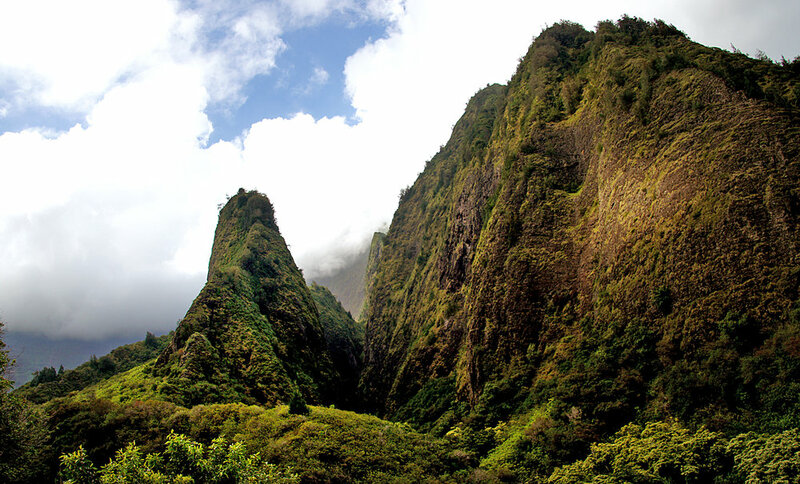 Nearly 90% of the flora of Hawaii is endemic and occurs nowhere else on earth—it evolved on the Hawaiian Islands. While there is a great history of evolution on the islands, there is not a comparatively great diversity of life. Consider this: Faville Grove Sanctuary has somewhere around 650 native plants within its two square mile boundaries. The island of Maui, meanwhile, has about 690 native species within 727 square miles. The difference, of course, is that throughout history, a plant might arrive on the Hawaiian Islands once every 30,000 years. When that plant or bird did arrive on the islands, it evolved to occupy the available niches on the island and became a form unlike anything else on earth. The Hawaiian Islands occupy about 11,000 square miles with 90% of its species occurring nowhere other than the Hawaiian Islands. Meanwhile, the state of Wisconsin occupies 65,000 square miles and has near 0% of its species occurring nowhere else on earth. The singularity and exceptional richness of evolutionary history brings us to the Northern Cardinal. I would venture that the average tourist to Maui sees dozens of birds that occur in their own backyard in the continental United States, including house sparrows and northern cardinals, while seeing no endemic Hawaiian birdlife. While Graham was in Puerto Rico appreciating those common birds for their migratory ecology, I was in Hawaii cursing the cardinal for its introduction here by humans in 1929. Likewise, the house sparrow—already cursed back in Wisconsin for its raiding of bluebird boxes—is a common Hawaiian bird. 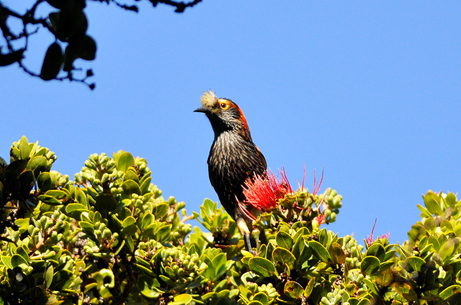 Endemic Hawaiian birds take some work to find. You need to move away from the beach towns on Maui, and gain almost a mile in elevation, in order to find forest land inhabited with populations of native birds. This is due to the avian malaria, which native Hawaiian birds are not adapted to and can decimate native populations. Most forest birds occur 1,200 meters—nearly 4,000 ft— above sea level, because due to the altitude and climate, mosquitoes do not occur in these areas. In the parking lot of one forested area, I witnessed a red bird, which on first glance appeared to be a northern cardinal. However, the area where I was birding was known to host many endemic forest birds. 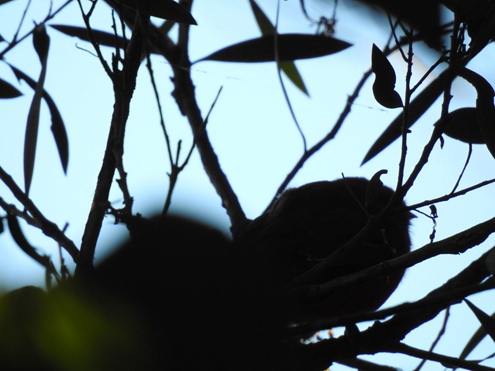 I looked closer, only to reveal… a northern cardinal! Drat. I continued hiking, though, and soon I observed the unmistakable I’iwi, a brilliant red endemic Hawaiian honeycreeper, and they were everywhere. I saw more red birds that weren’t cardinals, including the ‘Apapane. At higher elevetations, I saw no cardinals as the tree cover shifted to alpine scrub, but I did see the state bird of Hawaii, the nene or Hawaiian goose. On another day, I made my way to the rainforest side of the islands, where trade winds drop over 400 inches of rain annually. These slopes of the volcano are more dissected and freshwater streams (filled with endemic fish species) hurry down the mountainside. High elevation on the rainforest side is almost impossible to access due to the steep dissected terrain and incredible rainfall. Here, I hoped to find more endemic forest birds, but I was also interested in the flora of this rainforest. Unfortunately, most of the lowland forest on Maui is non-native. Bamboo and Eucalyptus trees were common on my hikes that morning. I turned to the canopy looking for birds, and what did I find? Another red bird, this time with a crest. I had been studying the birds of Hawaii, and immediately thought of the amazing crested honeycreeper. My hopefulness was soon dashed by an old friend, the northern cardinal. Of course, the cardinal is not to blame for inhabiting this tropical oasis. It also doesn’t really compete with the native forest birds for habitat. Thus, the cardinal is more a reflection of non-native forest and invasive species than a cause of native forest bird decline. Feral pigs, goats and cattle, axis deer, and are all introduced and invasive species that degrade native habitat directly affecting forest regeneration and the quality of endemic forest bird habitat. The cardinal is just a passerby, as much a part of the islands as the pineapple. Back home in Wisconsin, we started hearing the pair song of northern Cardinals yesterday. A beautiful sign that the days are getting longer on a warm and/or sunny February day. Here, I’m happy to hear the cardinal, and I wonder if those Hawaiian birds can muster the same enthusiasm through the wind, ice, and snow; I doubt it.